While what you’ve seen in movies and TV may make it sound like root canals are torturous dental procedures done only to cause pain, that couldn’t be further from the truth. Root canals are done to save a tooth that is severely infected, and the modern technology and techniques used at Mid Wilshire Dentistry have made the treatments relatively quick and comfortable. Typically a root canal is recommended (or sometimes even needed) when an infection forms deep within a tooth. Due to an injury or perhaps a severe, untreated cavity, bacteria can infiltrate the tooth and infect the pulp deep within it. If left untreated, this infection could become so severe that the tooth would have to be removed. Root canals are essentially a four-step process, with treatment typically performed over two visits to the office. • Anesthesia: Using a needle, your dentist will administer local anesthesia that will numb the tooth. It’s common to feel a slight pinch as the needle is inserted. After the tooth is numb, your endodontist may use a small sheet of rubber, or dental dam, to isolate the tooth and keep it clean throughout the procedure. • Remove damaged pulp: Using a small tool, such as a drill, your dentist will access the inside of your tooth by creating a small opening on the top of it. Using small files, your dentist will then clear away the diseased and damaged pulp inside the tooth, then shape the root and inner chamber of the tooth. 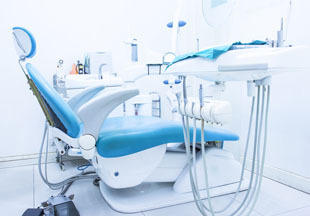 To remove any remaining bacteria, your dentist may irrigate the chamber with water or insert an antimicrobial solution to reduce the risk of further infection. • Filling: Once the chamber is dried and clean, your endodontist will fill it with a rubber-like material called gutta-percha, then close the opening with a temporary filling as you wait for a permanent crown. • Crown: A few weeks later, your dentist will finish the treatment by attaching a permanent crown — or similar type of restoration — to the top of the tooth. Depending on the condition of your original tooth, the dentist may need to increase tooth stability with a small supporting post inside of the root chamber. Root canals are an important and effective procedure for saving damaged or diseased teeth. If you believe you may need a root canal or have any further questions on the treatment, don’t hesitate to give us a call at Mid Wilshire Dentistry at 213-550-2357 and schedule an appointment. Darren Smolkin, DDS received his undergraduate degree from McGill University in Montreal, Quebec, Canada. He earned his Doctor of Dental Surgery from McGill University and completed his graduate training in endodontics (root canal therapy) from the University of Southern California in 1997. His goal is “to provide the highest quality of pain-free dental treatment.” Dr. Smolkin uses the latest in technology to perform root canal therapy that allows treatment to be more predictable and completed in less time.